and private in the country. according to observers of the banking sector is witnessing in Iraq marked decline through economic assurances to low cash reserves of the Central Bank of Iraq, as well as variation sell hard currency , prompting the House of Representatives and economic experts to demand the government to monitor Auction currency. Khandan- envoy said the US president of the World Alliance of Brett Macgork, The liberation of the city of Manbej in Syria helped a lot in raising enormous amounts of intelligence about the organization “Daesh” terrorist. He explained Macgork in a press statement that the information helped the alliance to track the top leaders in the “Daesh “who fled after the liberation of the city. and enable the international US – led coalition of killing 18 of theleaders of the ” Daesh “since late last August, including Vice – Qaeda leader Mohammed Aladnana. the democratic forces of Syria It announced in mid-August edit city Manbej tenderness between the Turkish border from the hands of”Daesh” and cut the road in front of him to Europe in addition to the2,000 people edit elements of the organization used them as human shields as they fled the city. Parliamentary Finance Committee demanded; the Central Bank of the need to adjust the trading currency auction and evaluate the performance of private banks. As the data and official statistics confirming banks to provide some civil purchase invoices are not real in the auction currency. Parliamentary Finance Committee revealed; its intention to form a fact-finding committee to find out the reasons for the high price of the dollar in the markets, and monitor the performance of the central bank auction of currency and checking the seriousness of their actions, which tainted question marks are many, and put an end to the continuation of the mafiosi of the market and some currency traders control the price of Aldenarabraghi Exchange . Identified the Presidency of the Council of Representatives Tuesday of next week the date for the resumption of meetings held after the disabled to coincide with the tenth of the month of Muharram. The MP said the bloc citizen Amer winner in Republic News Agency statement that the presidency of the House of Representatives has also decided to identify the days of Saturday and Sunday and Monday of next week to examine the work of the committees on a number of draft laws broken. Twilight News / announced Arbil province on Saturday, the Kurdistan Regional Government has decided to make next Tuesday a public holiday in all its departments and institutions under public holidays issued by the Minister of the Territory Council agenda. The official said in the media Erbil connecting Khalid in a statement responded to the Twilight News, said that under the schedule that sent ministers of the provincial council to the provinces this week will see the official holiday. He pointed out that on 10 Muharram, which marks the next Tuesday is a public holiday in all the departments and institutions of the provincial government. He added that the holiday of Ashura include all of Iraq, including the Kurdistan region, which will stick to its application. Twilight News / announced Iraq’s oil minister, Ali Jabbar Hussein Allaibi, from reaching the country’s crude oil reserves 143 billion barrels, stressing that it will, according to estimates, over the coming years to 250 billion barrels. Allaibi said, during a meeting with head of the Russian oil company “Lukoil”, Faguyt Alekperov, said that the oil ministry plan for the current year and the next focus on the development of oil production and gas investment, calling for expanding the contribution of “Lukoil”, through investment participation contracts in this area or in the rest of the projects that will be implemented next year. Allaibi He pointed out that Iraq has oil reserves estimated at 143 billion barrels of crude oil, also has a large reserve of gas .. pointing out that the ministry has begun a new era and it will go for the development of the oil and gas sector. 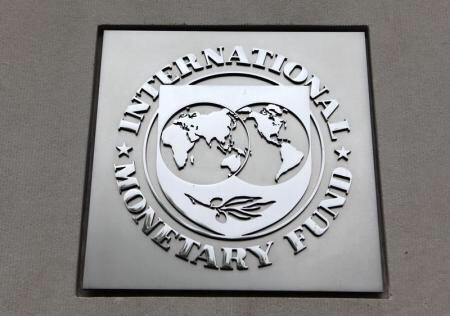 [Line-up] the Steering Committee of the International Monetary Fund on Saturday called on member states to use all policy tools to support the global economic recovery is still “slow and uneven”.